Well let’s hope third times a charm! 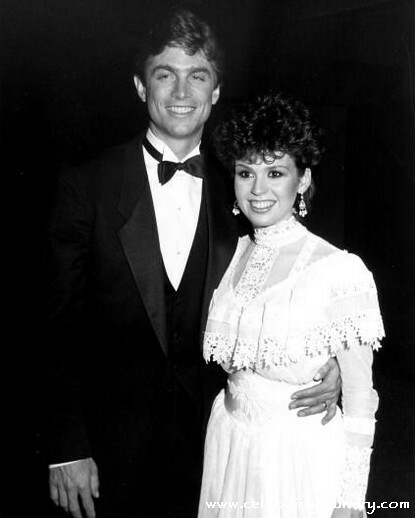 Marie Osmond, 51, re-married her first husband, Stephen Craig, this morning in a Las Vegas Mormon Temple, and later celebrated at a reception in the performer’s Nevada home. Marie, who was also married to Brian Blosil from 1986 – 2007, reconnected with Stephen following the death of her son. She is said to have worn the same wedding dress her and Stephen wore on their first wedding. Let’s hope this time it works out Marie, you deserve it. Not only is today their wedding day, May 4th also marks the birthdays of both Marie’s late son Michael, whom she shares with Blosil, and her late mother Olive.